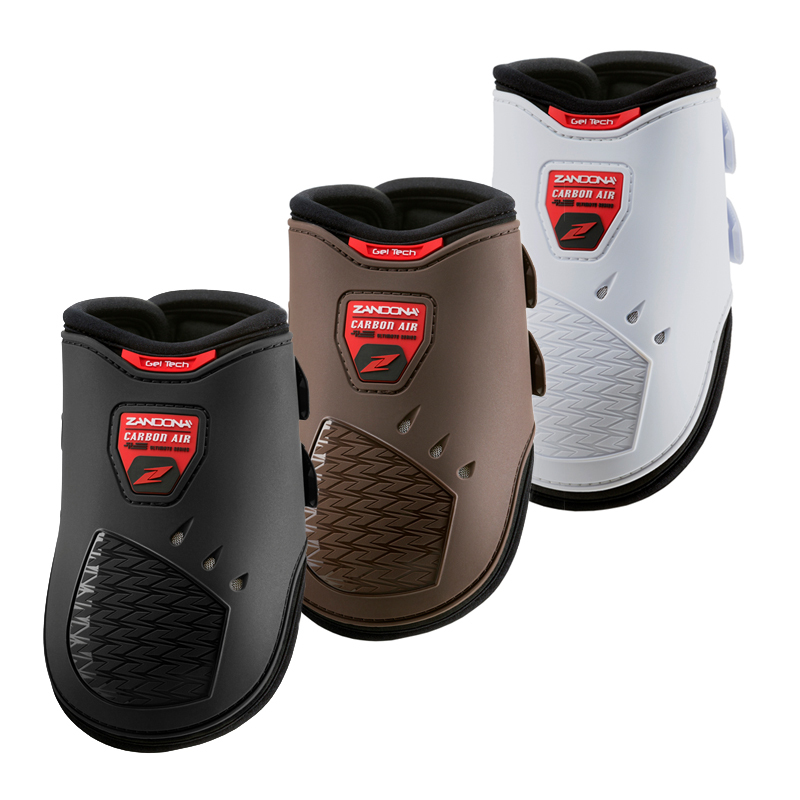 These Carbon Air Fetlock boots have been developed to protect the horse from collisions and chafing of the fetlock and shin area whilst offering support to the tendons. These Carbon Air Fetlock boots have been developed to protect the horse from collisions and chafing of the fetlock and shin area whilst offering support to the tendons. Made with an external TPU structure with differentiated thickness, they are breathable thanks to the support of perforated neoprene and ventilated by 3 vents. Inserted between the outer structure and the support the Gel-tech is designed to absorb the shock but also acts as a comfortable padding. Elements of Carbon Fibre are also under the shell designed to thermally insulate the joints by the heat generated from friction and to help increase the mechanical resistance to impacts. The elastic straps have a quick release tip which have been calibrated for a secure closure and have a double horizontal/ vertical interlocking system. The size and shape have been developed by following the limb structure perfectly to ensure perfect positioning and avoid any stress to the limb.